Bell boots keep your horse protected when overreaching - help prevent unsoundness before it happens. Heavy duty construction complete with special No Turn design. 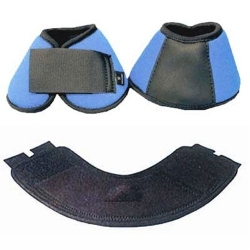 These Top Quality No Turn Bell Boots do not rub and will not turn and are offered in the following colors.